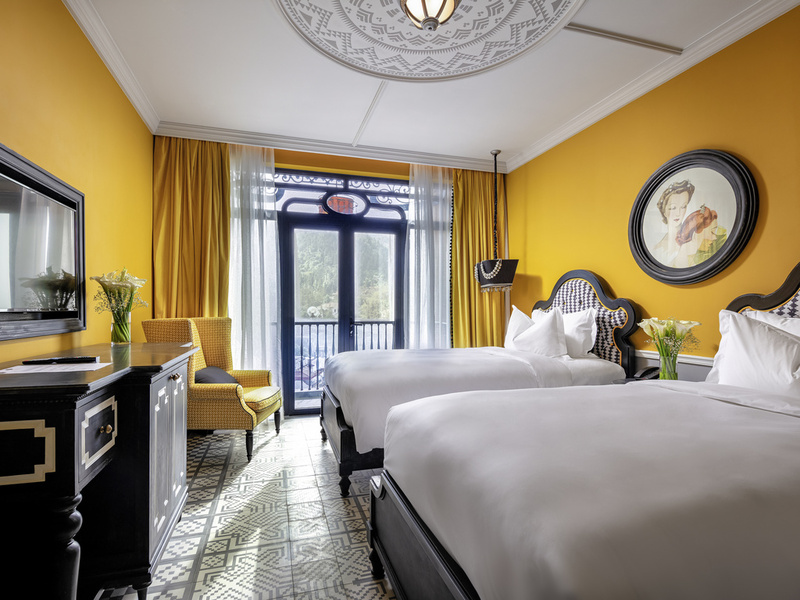 Immerse yourself in an enchanting mix of haute couture and hill tribe style at Hotel de la Coupole, where we bring you a nostalgia of the French Indochine era. ..
33 m²/355 sq. ft. Room, free Internet, 43" LCD TV, Mini Bar, rain shower, high end amenities, 1 Extra Bed possible, Hill Tribes inspired design. 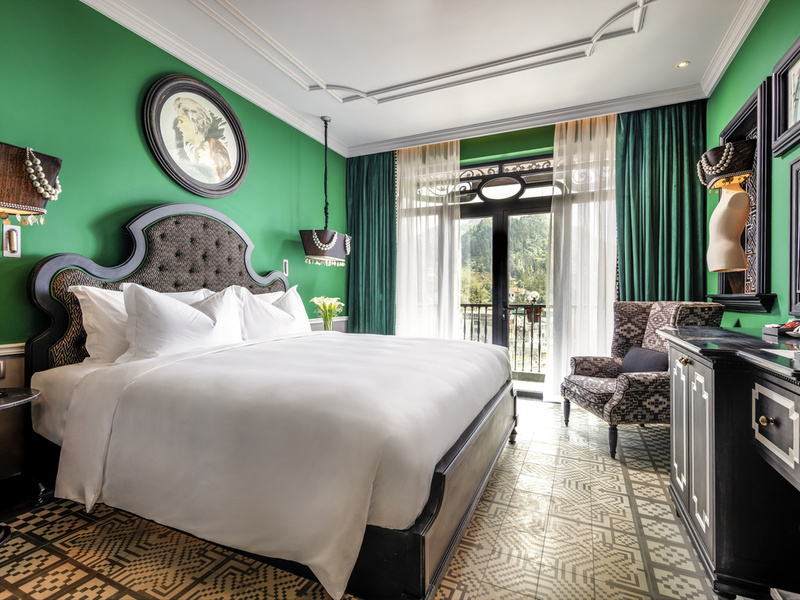 All rooms have balcony overlooking either the city of Sapa or the hotel inner garden. 33 m²/355 sq. ft. Room, free Internet, 43" LCD TV, Mini Bar, rain shower, high end amenities, 1 Extra Bed possible, Hill Tribes inspired design. All rooms have balcony overlooking the city and the surrounding mountains and valleys of Sapa. 33 m²/355 sq. ft. Room, free Internet, 43" LCD TV, Mini Bar, rain shower, high end amenities, 1 Extra Bed possible, Hill Tribes inspired design. 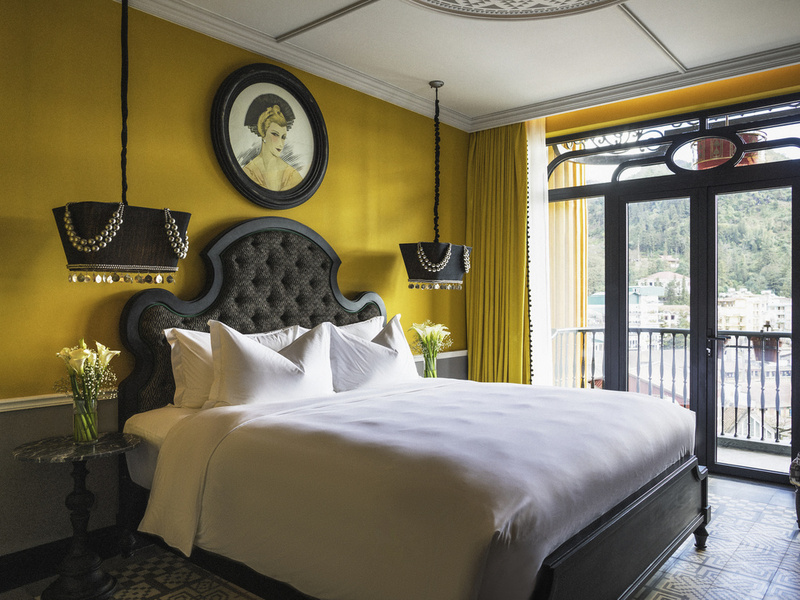 All rooms have balcony overlooking the courtyard, the city, the surrounding mountains or valleys of Sapa. 29 m²/312 sq. ft. Room, free Internet, 43" LCD TV, Mini Bar, balcony, bathtub, located on floors 8 and 9 overlooking the entire Sapa landscape. 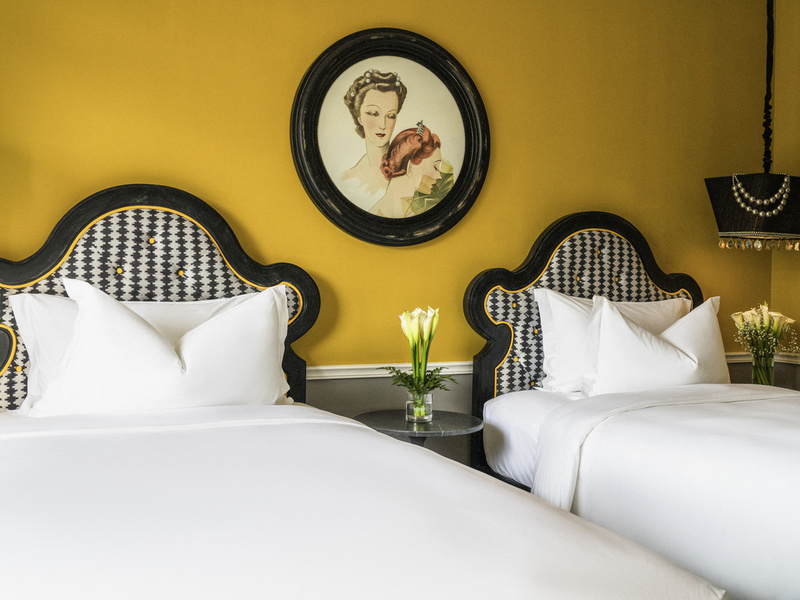 Rooms are generously proportioned and sumptuously decorated with unique features and fine linens. 29 m² / 312 sq.ft. room, free internet, 43" LCD TV, minibar, balcony, located on 8th and 9th floors overlooking the entire Sapa landscape. 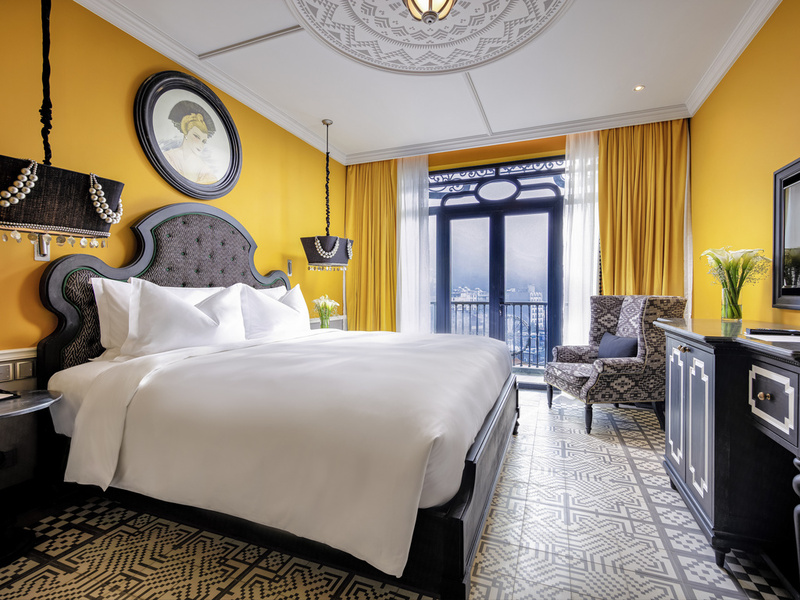 Rooms are generously proportioned and sumptuously decorated with unique features and fine linens. 75 m²/807 sq. ft. Room, 55" LED TV, free Internet, Mini Bar, bathtub and balcony showcasing the life and nature in Sapa town. All rooms are located on floors 8 and 9, the ideal spot to benefit from the stunning view that only Sapa can offer. 80 m²/861 sq. ft. Room, 55" LED TV, free Internet, Mini Bar, bathtub and rain shower, spacious living room, oversized balcony, high floor. 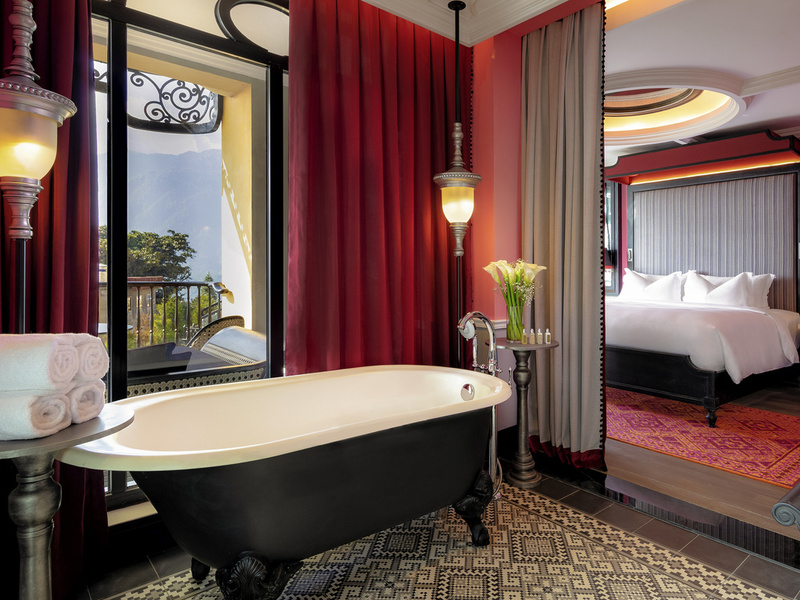 The Executive Suite overlooks the city and the nature of Sapa, immersed in a stunning mountain scenario. 180 m²/1,938 sq. ft. Room, 55"LED TV, free Internet, Mini Bar, bathtub, terrace with panoramic views of Hoang Lien Son mountain and Sapa town. Located on the highest floor, it has a spacious living area and an impeccable interiors design. A French restaurant with Haute Couture inspiration where customers can dine in a grand yet intimate setting, with refined French dishes infused with local ingredients and a carefully-curated wine list, comprising specially procured French labels. A rooftop bar and lounge featuring the finest combination of wine, cocktails, and tapas in a grand and glitzy yet subdued setting located on the 10th floor overlooking the Sapa valley. 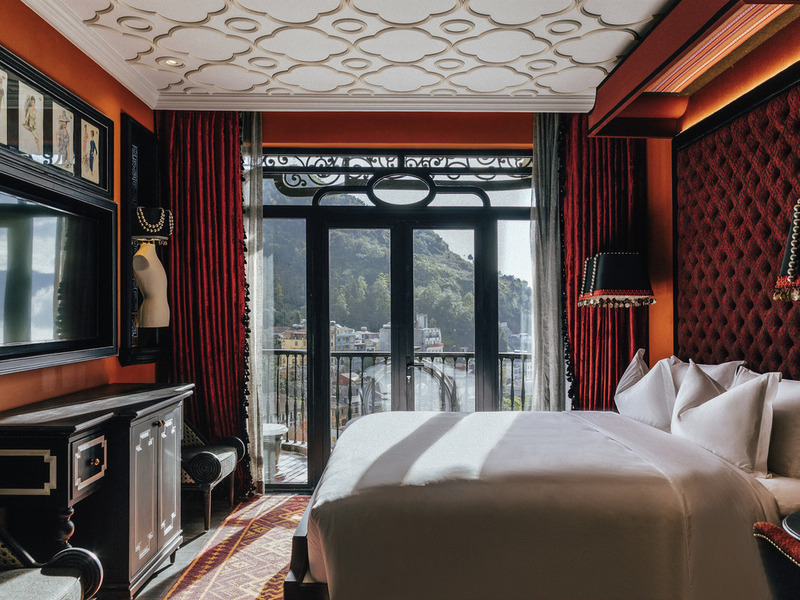 Hotel de la Coupole combines sophisticated and artsy design in one meeting place. With glamorous interiors featuring dramatic artworks, our Ballroom adds a perfect touch to a successful business meeting, social gathering or once in a lifetime wedding. A place of heavenly peace and wellbeing providing a combination of luxurious skincare treatments imported from France and locally inspired baths. Our indoor heated pool located on the 7th Floor. The well-equipped fitness centre is located on the 7th Floor.